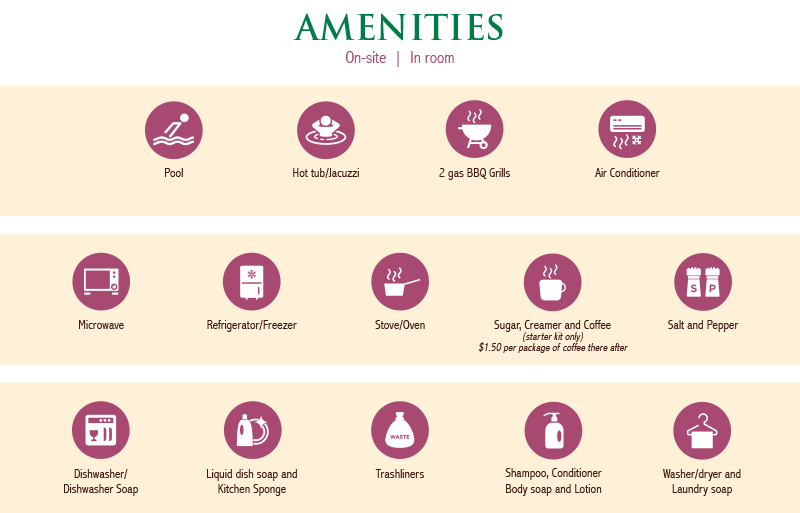 Guests enjoy a wide variety of convenient amenities that make any stay that much nicer. Our spacious studio and one-bedroom units contain full kitchens, a dishwasher, washer-dryer, air conditioning, Wi-Fi, 40-inch widescreen TVs, and private lanais. Our lovely grounds offer a pool, hot tub, and two gas barbecue grills. It all makes for a wonderful vacation experience.